Air conditioners last for years, but sooner or later, you’ll need to replace yours. Sign #1. Your air conditioner keeps breaking down. Do you feel like you are constantly calling in the experts for air conditioning repair? If so, it might be time to replace your air conditioner. If your air conditioner constantly breaks down and requires you to pay for repairs, then replacing your system now might even save you money. Plus, the need for constant repairs probably means that your system isn’t working very well, and replacing it will help you enjoy a more comfortable climate in your home. Sign #2. Your air conditioner is 10+ years old. Typically, you can expect to get 10 to 15 years out of your air conditioner before it stops working effectively. Air conditioners have come a long way over the years. If you were to replace an air conditioner from the mid-1970s with a high-efficiency system, you could save up to 50 percent on your energy bills. However, even if your system is only 10 years old, you could still save up to 40 percent on your bills with a new system. Not only are new air conditioners more efficient, they also use more environmentally friendly refrigerant. Prior to 2010, air conditioners were commonly made with R-22, an ozone-depleting refrigerant, but it was banned in all systems made after 2010. Sign #3. You have high energy bills. How do you know if your system is inefficient? Apart from checking the seasonal energy efficiency ratio (SEER) rating, one of the best ways to know if your system is efficient or not is by paying close attention to your energy bills. If your energy bills are high on a regular basis, it’s a sure sign that there’s a problem. However, high energy bills might not necessarily mean you have to replace your system. They may indicate that your system is in need of repairs or maintenance. But, if your energy bills are high, even if you keep your system properly maintained, it’s time to get it replaced. Sign #4. Your air conditioner isn’t working very well. At the end of the day, the one and only reason you have an air conditioner in the first place is to keep your home cooler and more comfortable. 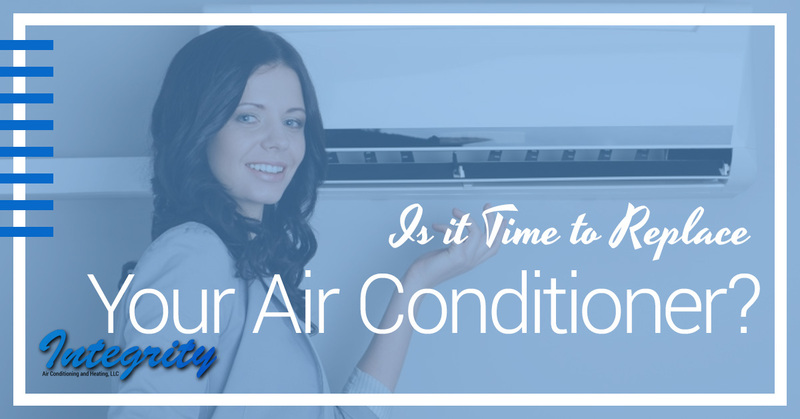 If your air conditioner has poor airflow, or the air coming it puts out just isn’t cool, then it could indicate that a major repair needs to be completed, like compressor replacement. If you’re facing a pricey enough repair, replacement may be in your best interest, especially if your system is older. And if repair isn’t available, there’s no reason to keep an air conditioner that doesn’t work, so it’s time to get it replaced! When you need air conditioning replacement, you need Integrity Air Conditioning and Heating. 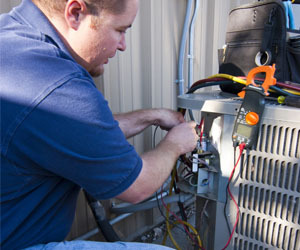 When it comes time to replace your air conditioner, it’s important to work with an HVAC company you can trust. As we talked about in our last blog series, buying a new air conditioner is more complicated than most people think, and an innocent mistake could leave you with the wrong system in your home. It’s essential to find a contractor who has the experience and knowledge to help you find the right system. Contact us today to get started!